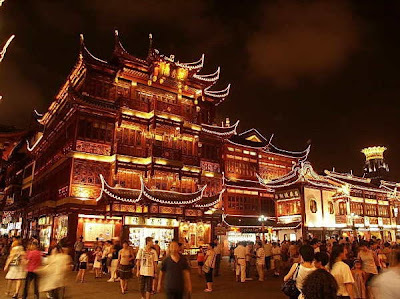 Shanghai is a city with various tastes of food from all round the world, including all the Chinese cuisines, as well as exotic flavors from around the world. The local cuisine is a must to taste when traveling in Shanghai. The famous Shanghai Temple Street is the first choice for tourists who are the first time to travel Shanghai. What’s more, the good streets such as Yellow River Road, Yunnan Road, Wujiang Road, Zhapu Road are a great boon for foodies in Shanghai. 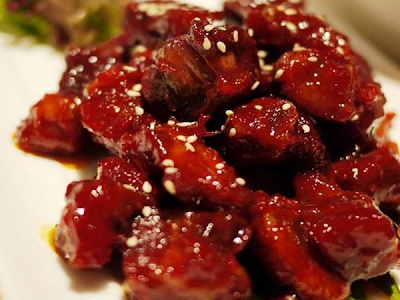 Shanghainese food is also known as Shanghainese cuisine, Shanghai local cuisine, and Authentic Shanghai Cuisine, mainly featured for its fresh, especially the fresh fish and shrimps, bright color, focus on original flavor. Boil eel(锅烧河鳗), three yellow chicken(三黄鸡), fried shrimp (油爆河虾), Shanghai drunk crab(上海醉蟹) etc. are the typical local cuisine. Shanghai food and beverage consumption is much higher than most places of mainland China, generally at the average of 65-110 yuan per person for a meal in some good restaurants, some even more expensive. 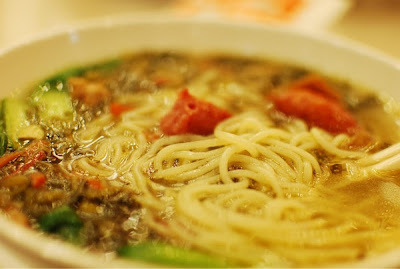 The history of noodle in Shanghai doesn’t as long as that in the north area of China. Thee noodle in Shanghai has its own characteristic, and the soup of Shanghai noodles flavors the light taste, delicious and refreshing. There are also some good noodle shops in some obscure alleys and streets. Noodle House consumption is about 18-35 yuan. Shanghai snacks include steamed, boiled, fried, baked, many other varieties. 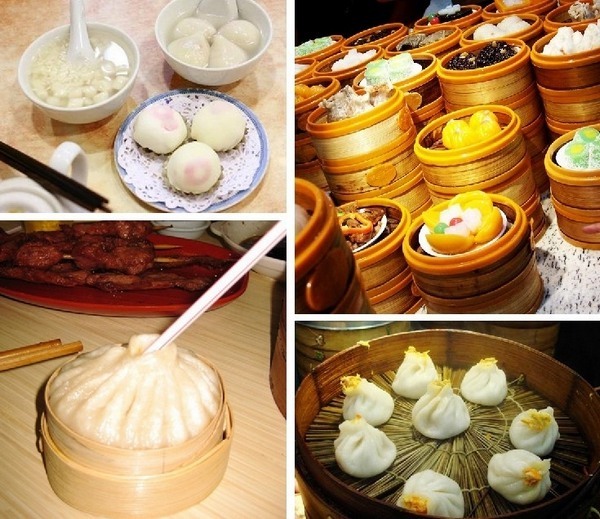 Soup dumpling, Baiye(Hundred Sheets, “百叶” in Chinese), and Fried Gluten Puff are the three most popular snacks in Shanghai. In addition, there are top 10 Shanghai famous snacks, which are generally not expensive; 10-30 yuan will be able to have enough to eat. 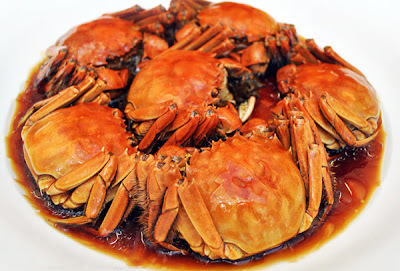 Comes to Shanghai Cuisine, we can not talk about the traditional food culture of Shanghai, which can be summed up as “elegant”, from the dining environment to dining tools, and the most prominent example of this is one of Seafood freshwater, crabs. Shanghai Chenghuang Temple Street is near the Yuyuan Garden, and also known as Old Chenghuang Temple, located in Fang Bang Middle Road, east of the An’Ren Street, north of Fuyou Road, and west of the old school field Road, with many snack shops in the street, so can be regarded as a snack kingdom. You will turn into an affordable food supermarket from Nanjing Road, where there are many snacks, Shanghai dishes, Seafood, reflecting the major feature of Shanghai alley food. Yunnan Road is located in the city center, north of Yan'an East Road, south of East. Most Shanghai people like to go this place to have dinners. There are Chang'an Dumpling House, Jinling Restaurant, Sanhelou Restaurant, and Laozhengxing Restaurant, you can enjoy the delicious Beijing roast duck, little Jinling salted duck, Little Shaoxing boiled chicken, Tianjin Goubuli Steamed Bun,“old Sichua” Hot Pot，“Xinjiang Roast Lamb” and so on. 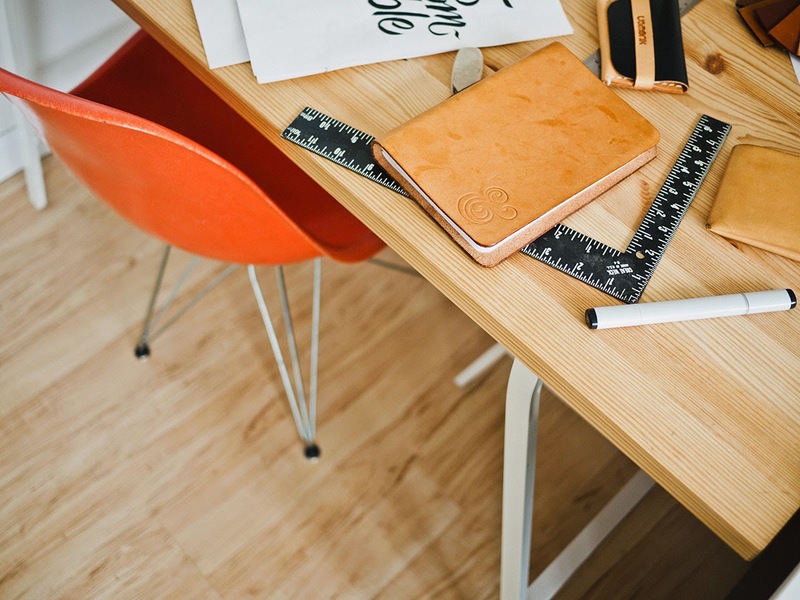 Wujiang Road parallel to the bustling Nanjing Road commercial street, and is a street in casual atmosphere, what’s more, the gourmet shops mostly tend to be younger, such as the Sichuan restaurant, coffee shop, ice cream house, desserts, bakery, etc. most of them are not very expensive. There is a new opened food bazaar at the Sijingfang Square Commercial Plaza.